Snow bikers now have more choices of industry-leading Timbersled® ARO™ snow bike systems with the introduction of the new Timbersled® ARO™ 129 LE, which gives riders all the great benefits of the ARO™ 120 with 12% more flotation. The Timbersled ARO 120 is widely recognized as the ultimate do-everything snow bike, and the new Timbersled ARO 129 LE shares many of its features – with a new rail and 129 hyfax, new extended side panels, and a new 129 Traverse Track that is instrumental in the system’s 12% greater flotation. 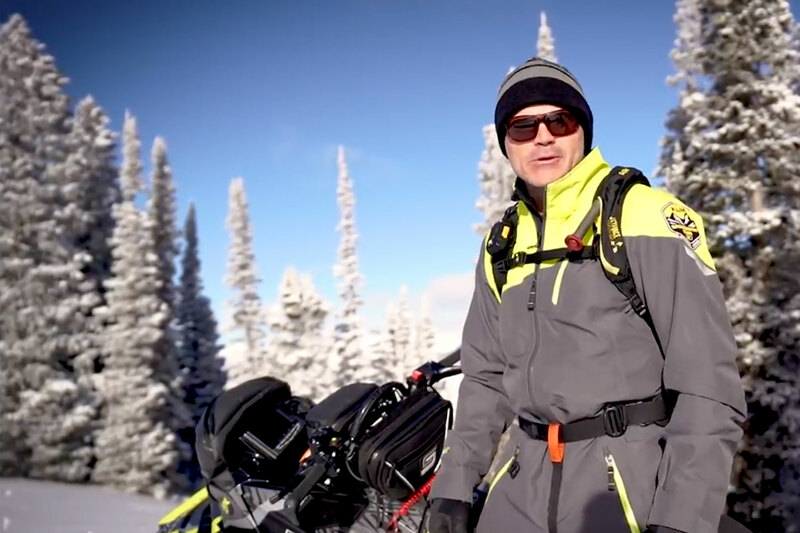 The Timbersled ARO family offers riders a full line of snow bike systems, with an ARO kit that’s just right for each type of rider. Along with the Timbersled ARO 120 and the new Timbersled ARO 129 LE, there’s the Timbersled ARO 137 for the deepest snow and steepest climbs. Each Timbersled ARO system features a durable, proven, state of the art platform design, that delivers a true bolt-on design making them the easiest to install and convert. 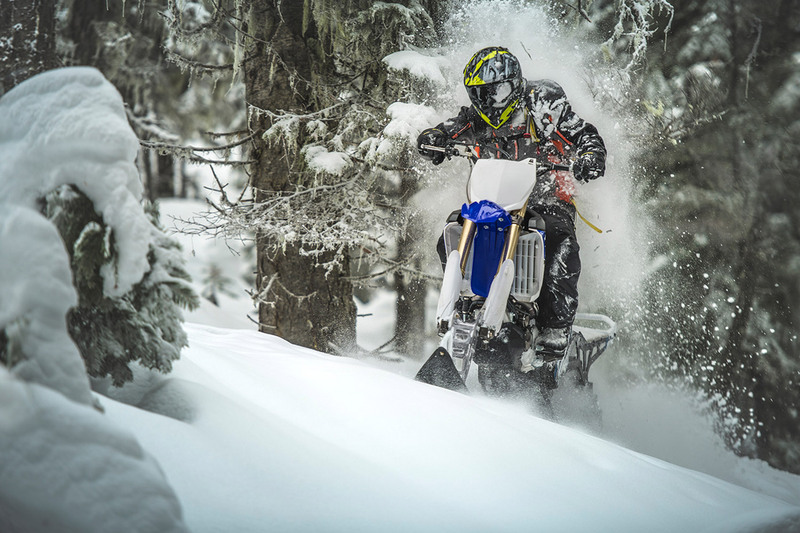 They provide the best handling on- and off-trail, giving riders the ultimate deep snow agility and climbing capabilities along with confidence-inspiring trail handling and cornering. · A 1:1 ski-to-track ratio for the most precise cornering and best side-hilling control. The ARO Rear Suspension features an advanced design that mimics the feel of a dirt bike with a track approach angle optimized to improve lift in deep snow. It delivers 30% more front track shock travel and 2” more overall suspension travel than the previous Timbersled® chassis. The exclusive ARO shielded brake system reduces ice buildup and provides improved, consistent on-snow performance. The ARO system is the easiest to convert because it’s a direct bolt-on system with no bike modifications required. With the bolt-on spindle there’s no need to drill, the brakes are pre-bled, and there’s no air box modification required. Once installed, the direct bolt-on suspension is easy to tune to suit a rider’s preferences. The new Timbersled ARO 129 LE has a new 129” Traverse Track, new longer rails and hyfax, new extended side panels, and a new extended tunnel top that offers expanded cargo space. The new ARO 129 LE comes in Titanium Matte Metallic and has color-matched features including the bumper, frame standoffs, graphics, rails, suspension arms, QS3 shocks, white ski hoop, and spindle. The ARO 129 LE also has the Timbersled Traverse Ski 2.0, which has an aggressive tri-keel shape and ski skags for improved strength, grip, and precise handling. This ski provides better lean angles on hard pack and greater control in deep snow. Timbersled models have proven their durability in the fiercest competition and in the toughest terrain. Timbersled snow bike systems are the #1 choice of regional and X Games champions because of their proven durability. Polaris Industries Inc. (NYSE: PII) is a global powersports leader that has been fueling the passion of riders, workers and outdoor enthusiasts for more than 60 years. With annual 2017 sales of $5.4 billion, Polaris’ innovative, high-quality product line-up includes the RANGER®, RZR® and Polaris GENERAL™ side-by-side off-road vehicles; the Sportsman® and Polaris ACE® all-terrain off-road vehicles; Indian Motorcycle® midsize and heavyweight motorcycles; Slingshot® moto-roadsters; snowmobiles; and pontoon, deck and cruiser boats. Polaris enhances the riding experience with parts, garments and accessories, along with a growing aftermarket portfolio, including Transamerican Auto Parts. Polaris’ presence in adjacent markets globally include military and commercial off-road vehicles, quadricycles, and electric vehicles. Proudly headquartered in Minnesota, Polaris serves more than 100 countries across the globe. Visit www.polaris.com for more information.